I have been a network/system administrator for the better part of two decades. Since this has always been for small companies my role has required me to be both the designer and the administrator of the infrastructures I manage. Working in smaller IT shops where I wear many hats (I am the network admin, the storage admin, the vSphere admin, the HVAC guy, the UPS/Generator guy, the VoIP guy, the telco guy, the DR/BCP planner, you get the picture) has helped me develop the ability to quickly gain a holistic view of the infrastructures I manage. I have to have a good understanding of how each of these system interact and how a change made to (or an outage of) one may affect the others. I believe the skill of understanding how the different parts make the whole should easily scale from the smaller environments I work in now to the larger environments I hope to one day work with. What I don’t have is experience with the formal design process as it is laid out in the VCAP-DCD exam blueprint. I decided to check out the new TrainSignal.com course Designing VMware Infrastructure by Scott Lowe in hopes that it will help me build a solid foundation to expand upon as I work towards the DCD certification. This is not meant to be a review of the course (especially since I have not completed it yet). 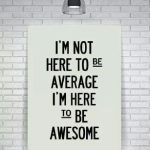 I am just putting some thoughts down about the possibilities of moving away from the administrator role and I look at this as a good first step. It would be interesting to work as a an Infrastructure Designer/Architect or working in a role as an Implementation Engineer for a VMware partner. I think the diversity would provide the challenge that is currently lacking (but I am actively seeking) with what I am doing today. I am looking to learn the methods of good design and gain the knowledge necessary to design solid virtual infrastructures while working towards my VCAP-DCD. My plan is to sit the exam and obtain the VCAP-DCD certification before the end of 2012. I am through Lesson 9, Building Security Into the Logical Design, and I have learned A LOT so far. I have taken several pages of notes and have started doing logical diagrams of my current infrastructure. It is about knowing the process and how the process helps you arrive at a good design. My favorite lesson to this point has been Lesson 4, Determining Design Factors. Even though I have done some network design and even some virtual infrastructure design I have never applied a specific methodology to the design. Of course you take project requirements, risks, and constraints into account (I do this pretty much anytime I make a change to my environment) but I never really thought about the methodology used to identify and organize these design factors (constraints, requirements, assumptions, risks). The course makes multiple references to a VMware case study – Cloud Infrastructure Architecture Case Study. So far this case study has offered some great examples of the logical design sections. Again I am really enjoying the course. I think it will prove to be a valuable first step on the path to obtaining my VCAP-DCD certification and ultimately to becoming a vSphere Architect. Anyone out there have any tips for a vSphere Administrator looking to become a vSphere Architect? If you are currently taking or have completed the course I am also interested in your thoughts. 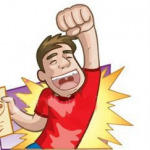 Just want to end with a great quote by Doug Baer from a recent certification discussion in a VMware Community forum – “Even if you’re not planning to go through the whole certification process, the *process* itself is of great value for anyone.” I completely agree! 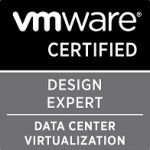 I’m glad to hear that the Designing VMware Infrastructure video training course has been helpful to you! I’m sure that you will do very well in making the transition from administrator to architect. Good luck!